What Kind of Bread Do You Use to Make a Shrimp Po-Boy Sandwich? Skip high-calorie, high-fat menu items at Subway if you're watching your weight. Whether you're traveling or just working late and need a quick meal, you don't have to choose an unhealthy burger, fries and soda combination from a fast-food restaurant. 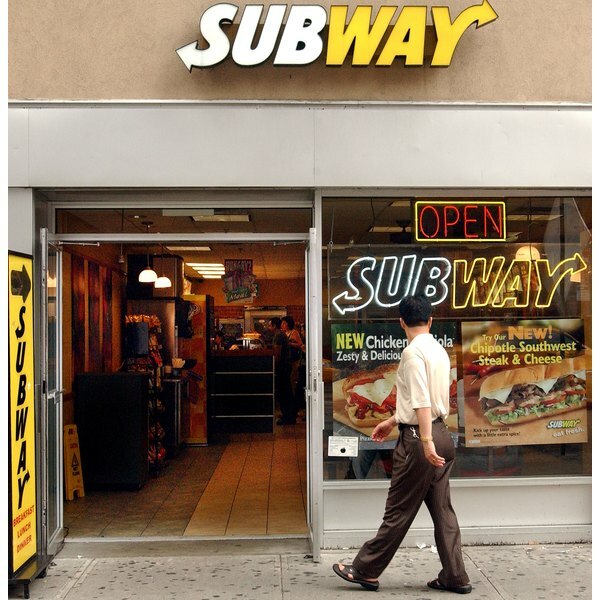 Subway, which has locations globally, provides healthier alternatives. Not everything on the menu, however, is light fare. Steering clear of certain foods, including those high in calories, fat and sodium, is a health-conscious choice to make. Subs to avoid at Subway include the Big Hot Pastrami, Fritos Chicken Enchilada Melt and Chicken and Bacon Ranch Melt. At 580 calories per 6-inch sub, the former two sandwiches have the highest number of calories on the restaurant's menu, with the latter close behind with 570 calories. The three sandwiches' total fat, at 31 grams, 26 grams and 28 grams, respectively, is also higher than any other sub's. Each of these three subs contains at least 1,000 milligrams of sodium; in the case of the pastrami sub, a 6-inch sandwich has 1,470 milligrams. Consuming any of these three subs provides a significant percentage of the maximum of 2,300 milligrams of sodium adults should consume daily. 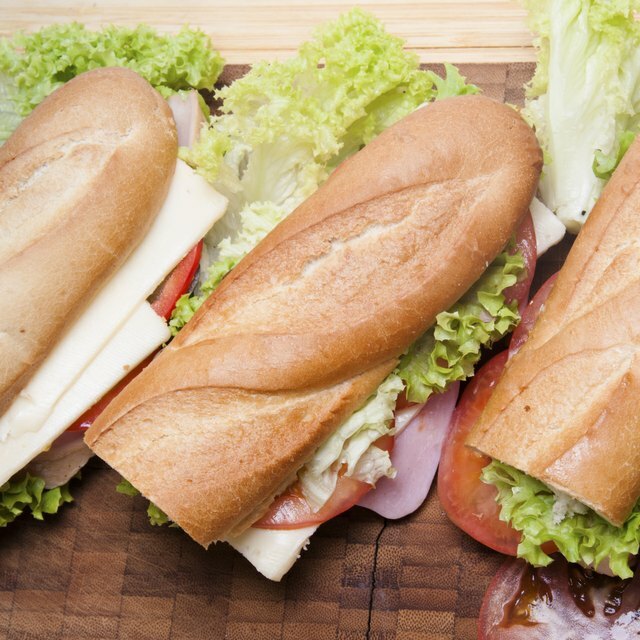 Regardless of the type of sub you choose, it's healthiest to stay away from the Italian Herbs and Cheese, Monterey Cheddar and Roasted Garlic breads. Per 6-inch serving, each of these rolls has at least 230 calories. Bacon and cheese are toppings to avoid if you're counting calories, as are calorie-rich dressings such as chipotle, mayonnaise and ranch. A serving of chipotle dressing, for example, has 100 calories, 10 grams of fat and 200 milligrams of sodium. When watching your weight, Subway's unhealthy subs aren't the only type of food to avoid. If you favor a salad over a sub, a handful of salads are high in calories, fat and sodium. Most of Subway's salads range between 220 and 300 calories, but the Big Hot Pastrami Melt and Fritos Chicken Enchilada Melt salads contain 400 and 510 calories, respectively. More troubling, the pastrami salad has 29 grams of total fat and 1,250 milligrams of sodium, while the Fritos chicken salad has 36 grams of fat and 1,300 milligrams of sodium. If you stop at Subway for breakfast, it's possible to have a healthy start to your day. Doing so, however, primarily means avoiding the breakfast omelet sandwiches, which are significantly higher in calories, on average, than the flatbreads and egg white omelet sandwiches. In particular, skip the Breakfast B.M.T. Melt and the Sunrise Subway Melt, which contain 490 and 470 calories, respectively, per 6-inch serving. These two sandwiches also have at least 17 grams of fat and 1,500 milligrams of sodium.